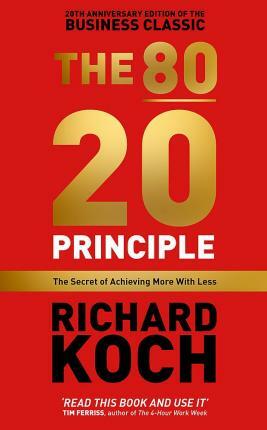 Twenty years after its first publication, The 80/20 Principle is a global bestseller read by millions of highly effective people around the world. Now, it is more powerful and essential than ever. In the past, the principle gave those who used it a serious advantage. In the future, it will be the essential tool for anyone who wants to succeed. And it is powerful. Based on the counter-intuitive but widespread fact that 80% of results flow from 20% of causes, The 80/20 Principle shows how you can achieve much more with much less effort, time and resources, simply by concentrating on the all-important 20%.